Jon Michael is everything you want a pro wrestler to be. He has size, strength and speed combined with text book technical abilities and great knowledge of our sport. A country boy by heart, he traveled to great white north to be trained by the famous Hart Brothers. While in Canada he developed his skills and came back to Tennessee with even more passion then when he left. 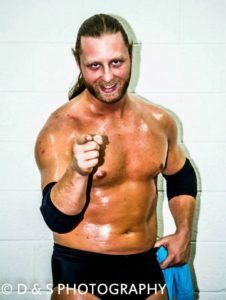 Once a member of famed tag team Picture Perfect, now Jon concentrates on his singles career were has has become one of top wrestlers in the country and a former Unified Heavyweight Champion. “The Voice of Truth” as he is called always speaks from the heart and wrestle from there as well.